The business world is questioning ‘how can our business benefit from moving into the cloud, and how can this be achieved as effectively as possible?’ The process of managing and maintaining a migration into the cloud can be demanding and expensive in terms of the expertise and skills required. Whether your applications are modern or legacy, our Cloud Bridge is a fully automated, transformation solution that provides the ability to translate and evolve your applications whilst preserving asset value. 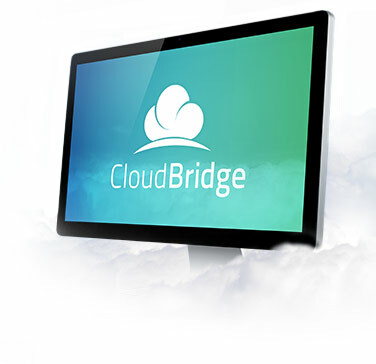 Cloud Bridge is easily adapted to support any programming language. Far more powerful than competitor parser technology, Cloud Bridge provides multi-language support, a modular language definition structure and the ability to understand language definition rules of any complexity, including those that would defy other parsers. Cloud Bridge analyses your application source code and data directly to build a comprehensive and navigable model of your application landscape. The model is now available for further analysis and optimisation. Cloud Bridge interrogates the application model to uncover the optimal sequence for migration. By understanding the relationships between your application components and data sources, Cloud Bridge determines which migration path is most favourable. By recognising the use of common libraries incompatible with the cloud, Cloud Bridge is able to recommend compatible alternatives. For instance, some networking libraries underperform in a cloud environment, and others make use of operating system specific interactions. The finalised migration strategy is now available for fully automatic translation. Using the migration strategy Cloud Bridge can now automatically generate into the target language / environment of your choice. Cloud Bridge’s generator is capable of producing migrated applications in any language. Furthermore Cloud Bridge acknowledges that application migration is only part of the full story; data migration is a key concern of any migration process. Automatic data migration using the Cloud Bridge delivers peace of mind by preserving data integrity. This iterative process is repeated until your entire application landscape has been successfully migrated.